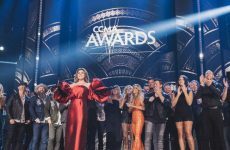 SOCAN is pleased and proud to announce that we’ve partnered with The Canadian Country Music Association (CCMA) to launch the inaugural CCMA Song Camp, scheduled for Jan. 27 to Feb. 2, 2019 in Gaspar Hernández, Dominican Republic. 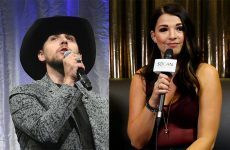 The week-long camp will bring together 16 established country music songwriters and producers, with the goal of creating a broad collection of radio-ready songs. Sun, sand, and country music offers the perfect combination for a week in the Caribbean. Spending seven days off the grid at the CCMA Song Camp aims to provide participants the opportunity to break free from their day-to-day routines and distractions, offering them the freedom to channel their creative outlets, and granting them access to unique collaborative experiences they might not otherwise have. 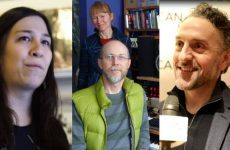 Each morning, the curated group of writers and producers will receive a briefing, and then assemble into assigned groups, each of which includes three or four writers and one producer. New groups will be assigned each day, and each group will spend the day (from 9:00 a.m. to 10:00 p.m., with breaks for meals) collaborating to develop new songs. Every evening will culminate with a late-night showcase, providing the groups a chance to share their favourite songs created in that day’s sessions. SOCAN looks forward to all of the inspired creativity, fresh songs, and new working relationships that we expect to develop at the CCMA Song Camp. The relentlessly successful Drake has earned seven nominations – the most among our members this year – for the 61st annual Grammy Awards, to be held Sunday, Feb. 10, 2019, and broadcast live, worldwide, from the Staples Center in Los Angeles. “God’s Plan” has earned Drake nominations for both Record and Song of the Year, as well as Best Rap Song, while his Scorpion is up for Album of the Year, with Drake as both the artist and one of the songwriters. His contribution to “Sicko Mode” – recorded by himself, Travi$ Scott, Big Hawk, and Swae Lee – has been honoured with candidacies for both Best Rap Song and Best Rap Performance. Shawn Mendes has earned two nominations: one in the Best Pop Vocal Album category, for his album Shawn Mendes, and one for “In My Blood,” nominated for Song of the Year. The song is co-written with Geoffrey Warburton and two other songwriters. Diana Krall earns a nod in the category of Best Traditional Pop Vocal Album, for Love is Here to Stay (a duets album with Tony Bennett). Les Violons du Roy are nominated for ARC, in the category of Best Classical Solo Vocal Album. Boi-1da has earned a nomination as Producer of the Year, Non-Classical, for his work with longtime musical colleague Drake, as well as Cardi B, Beyoncé and Jay-Z (The Carters), Eminem featuring Joyner Lucas, and G-Eazy Featuring A$AP Rocky & Cardi B, and Jay Rock. 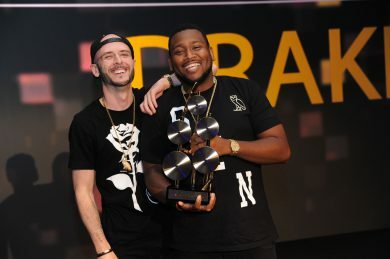 Boi-1da is also listed as the producer and/or songwriter on both “God’s Plan” and Scorpion, connecting him to another four nominations. Rising star producer Murda Beatz is connected to five nominations, two each for his work on Drake’s Scorpion and Cardi B’s Invasion of Privacy, and one for Nipsey Hussle’s Victory Lap. Similarly, in-demand producer Frank Dukes is connected to three Album of the Year nominations, for Drake’s Scorpion, Cardi B’s Invasion of Privacy, and Black Panther: The Album, Music From and Inspired by. Dukes also worked on the Cardi B song “Be Careful,” nominated for Best Rap Performance; the song is included on Invasion of Privacy, which is nominated for Best Rap Album. Dukes and Kaan Gunesberk are also two of the co-writers of the Camila Cabello worldwide smash hit “Havana,” the live version of which has been recognized with a nod for Best Pop Solo Performance. It’s also included on her album Camila, nominated for Best Pop Vocal Album. The two songwriter/producers are also among the co-creators of Post Malone’s “Better Now,” nominated for Best Pop Solo Performance. 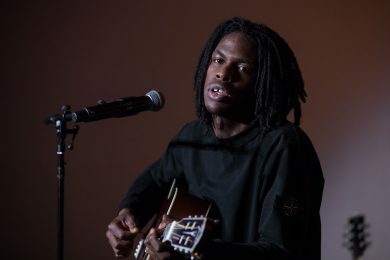 Daniel Caesar shares a nomination as a featured guest with H.E.R. on “Best Part,” which has been tipped in the category of Best R&B Performance. The song, also included on H.E.R., up for Best R&B Album, was co-written by H.E.R., Caesar, and his usual co-writing/production team of Matthew Burnett, Jordan Evans, and Riley Bell. They’re also honoured by association, because H.E.R. is additionally nominated for Best New Artist. Other co-writers/producers on the H.E.R. album include Drake, Majid Jordan, Noah “40” Shebib, Nineteen85, and Illangelo. Illangelo also co-wrote or co-produced songs for Cardi B’s Invasion of Privacy, nominated for Best Rap Album, and Fall Out Boy’s Mania, nominated for Best Rock Album. Nineteen85 also co-wrote or co-produced songs for Drake’s Scorpion, nominated for Album of the Year, and Travi$ Scott’s Astroworld, nominated for Best Rap Album. PARTYNEXTDOOR worked as a producer and/or songwriter on Drake’s Scorpion and Post Malone’s Beerbongs and Bentleys, both nominated for Album of the Year. Adam Messinger and Nasri Atweh of MAGIC! co-wrote “Happy Without Me” on Chloe x Halle’s The Kids Are Alright, nominated for Best Urban Contemporary Album. Pomo and Leon Feldman are among the co-writers for “Baptised,” from the same album. Chloe x Halle are also nominated for Best New Artist. Chromeo, the duo of Patrick Gemayel and David Macklovitch, and their co-engineer Tom Gardner, are all nominated for Best Engineered Album, Non-Classical, for Head Over Heels. Bahamas is nominated in the same category, for Earthtones, along with mastering engineer Philip Shaw Bova. Other songwriter/producers connected to Scorpion include ModMaxx, Preme, Corey Litwin, T-Minus, 25th Hour, Maneesh, and Asheley Turner. Other songwriter/producers connected to Black Panther: The Album, Music From and Inspired by include BadBadNotGood, Martin “Doc” McKinney, The Weeknd, and Michael Sonier. Other songwriter/producers connected to Travi$ Scott’s Astroworld include WondaGurl and London Cyr. Working with Best New Artist nominee Dua Lipa, Stephen “Koz” Kozmeniuk wrote multiple songs on her eponymous studio debut album, and Michael Sonier co-wrote songs for it as well. Henry “Cirkut” Walter co-wrote and/or co-produced “Girls Like You” by Maroon 5 featuring Cardi B, which is nominated for Best Pop/Duo Group Performance. Tobias Jesso Jr. worked on songs for P!nk’s Beautiful Trauma, nominated for Best Pop Vocal Album. David Francey wrote the song “Bordeline,” included on The Travelin’ McCourys’ eponymous debut, which is nominated for Best Bluegrass Album. Similarly, Cecile Believe contributed to SOPHIE’s Oil of Every Pearl’s Un-Insides, a nominee for Best Dance/Electronic Album. The Best Rap/Sung Performance category nominees include “Pretty Little Fears” by 6lack Featuring J. Cole, which was co-created by T-Minus. Alex Cuba co-wrote and is featured on “Por Eso Me Voy,” a song on Claudia Brant’s Sincera, which was recognized in the Best Latin Pop Album field. Jacob Faithful contributed to Young Spirit’s Mewasinsational – Cree Round Dance Songs, which earned a nomination as the Best Regional Roots Music Album. Larry Klein is nominated for Producer of the Year, Non-Classical, in part for is work on Molly Johnson’s Meaning to Tell Ya album. In the category of Best Compilation Soundtrack for Visual Media, Celine Dion performed “Ashes” on the Deadpool 2 album, while Finn Wolfhard, who acts on Stranger Things, performed a voiceover on “Sunglasses at Night” by Corey Hart. 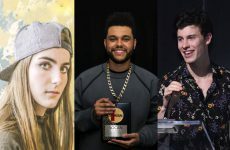 SOCAN congratulates our Grammy-nominated and nominee-connected members on these huge achievements! 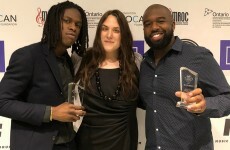 The 2019 edition of the SOCAN Awards in Toronto will salute the remarkable work of Anglophone music publishers with the third annual Publisher of the Year Award. Publishers are invited to submit their nominations starting today, until the deadline of Friday, Jan. 25, 2019. To be eligible, a publisher must be based in Canada, and their repertoire must be in large part Anglophone, or having had a significant Anglophone impact, creatively and commercially. A publisher with a representative who sits on the selection committee is not eligible for this award. The award recognizes a publisher member who contributed in a significant and positive manner to the music industry and creative community during the year prior to the year of the next SOCAN Awards. The eligibility period for the 2019 edition of the SOCAN Awards is from January 1 to December 31, 2018, and only the accomplishments which occurred during this period will be taken into consideration. A jury of music industry professionals will evaluate all the nominations. Eligible publishers must submit nominations to SOCAN’s Events Team, at events@socan.com, no later than Jan. 18, 2019, at 5:00 p.m., EDT. The Publisher of the Year Award will be presented during the SOCAN Awards in Toronto on Monday, April 1, 2019. Publishers can download the submission form here.